As a child, I loved my daily lunchtime unveiling of the delights inside my lunchbox. My mum, bleary-eyed, painstakingly packed our school lunches at an ungodly hour in the morning on a daily basis for the duration of my junior school life. Perhaps that’s why I love creating my own packed lunches for work at the age of 23. There’s nothing less inspiring than peering into your lunch bag, only to find a packet of crisps and a cheese and tomato bap. I yawn at the very thought of houmous and crackers. What’s there to look forward to about tuna and mayo on gluten-free bread? 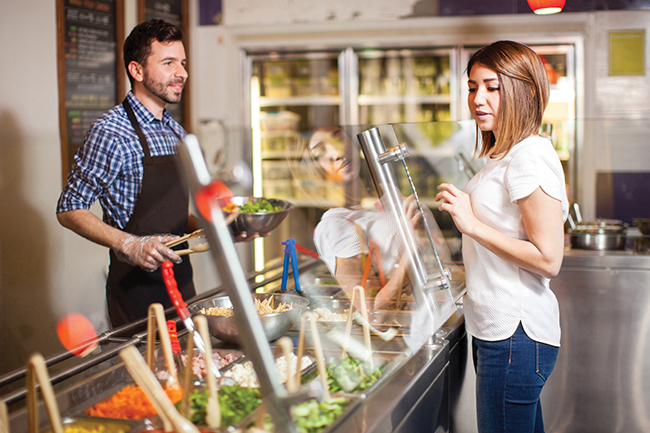 Traditional sandwich offerings are partially to blame for the massive switch in our lunchtime eating patterns towards high-street café options. It seems fewer of us than ever before are opting to bring in our own lunches from home. A statement which becomes ever more valid, as I sit in a Birmingham City Centre Pret at 1pm, watching hordes of suits march to grab their packaged lunch options for the day. But at what cost? Have you ever thought to tot up just how much money you may spend on midday lunching options? Over the course of the year, if you spend an average of £5 per day on eating out for lunch around 4-5 times per week, it could end up costing a total of anywhere between £700 to £1000! That’s easily a return flight to a holiday destination, or a down payment on that kitchen upgrade you’ve had your heart set on for months. While these to-go options are convenient for the days where you just can’t muster the strength to rise out of your bed earlier than is absolutely essential, or perhaps there just aren’t enough hours in the day for you to think about your lunchtime meals, if you consider how much money you could save by preparing a few dishes ahead of time, perhaps your motivation may just spike upwards. Besides the impact upon your purse strings, consider just how wasteful your lunchtime habits may be on the environment. Plastic-wrapped wraps. Boxed salads and sandwiches. Disposable plastic soup spoons. Most of which are not readily recyclable due to contamination from food-stuffs and the requirement for further, more complex stages of refuse processing, which may not be available in your area. 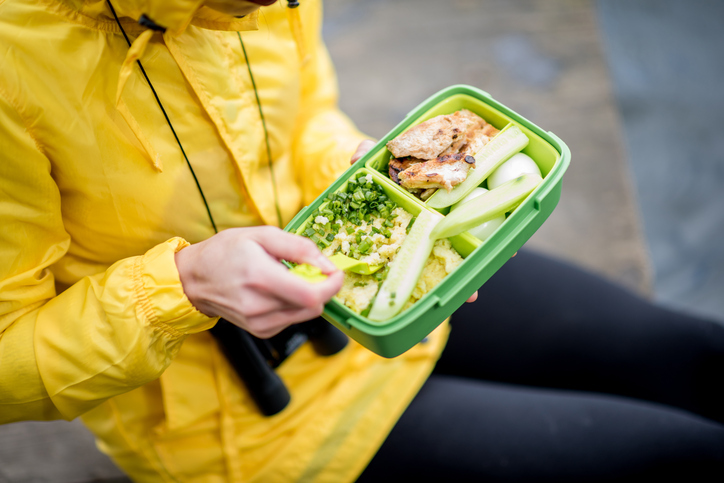 Whether you are on a budget, or perhaps attempting to reduce your consumption of single-use plastics and packaging, regularly buying your lunch on the go is going to be a headache for you. The simple answer? Give it up for good. Don’t get me wrong, I completely accept that for some of us, making our lunchtime bites first thing in the morning, or last thing at night, is more of a burden than a task to enjoy. I’m fully aware of the phrase: but I simply don’t have the time to prepare anything. Time management is a necessary modern-day qualification, which is awarded to those who master the art of balancing daily tasks with the demands of the future, and do it with a smile. The secret to cheating your way to top of the class? Planning. Planning your lunchtime meals ahead needn’t be a chore (honest). This task is as simple as sitting down, glass of something luxurious in hand, penning your schedule for the week ensuring you are fully fed and nourished. 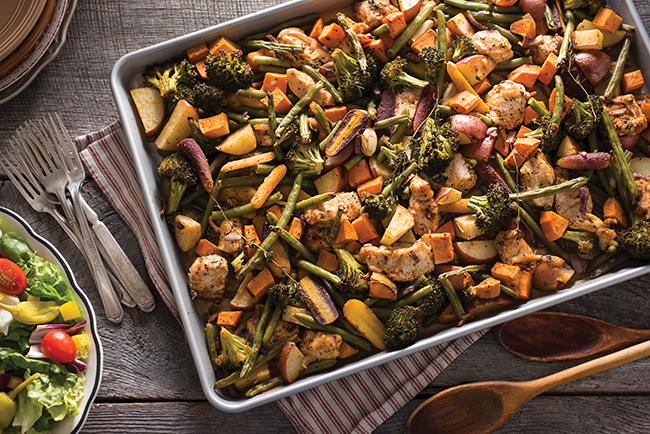 For example, if you know Monday-Wednesday is going to be hectic, with meeting after deadline after exercise class after parent’s evening, why not make a huge casserole packed full of veg and protein? Portion it out into a few Tupperware containers, and take one portion with you every day. Easy. Greens: Huge bags of mixed salad leaves form the perfect base for a 5-minute salad. Opt for leafy greens such as kale and cabbage, and brassicas such as broccoli and cauliflower, which can all be steamed while you hop into the shower in the morning. Grains: Easy-cook rice, buckwheat and quinoa are fantastic gluten-free examples of go-to grains which can be cooked up in 15 minutes while you do the washing up in the evening. These wholegrains make a nutritious staple carbohydrate base to a lunchtime meal, providing lasting energy throughout the day, warding off that mid-afternoon biscuit craving. Proteins: Baking salmon, chicken and turkey, or tempeh, tofu and Quorn for vegetarians and vegans, will only take around 30 minutes in a hot oven, and can all be bulk-cooked while catching up on your emails (or watching another episode of Bake Off). Knock up a simple marinade with some herbs, spices and seasoning and spread over your chosen protein prior to cooking. Once cooled, store in the fridge for up to 4 days. Extras: No one likes the repetition of having the same lunch over and over again, 5 days a week. Each week, I like to buy a new ingredient that I haven’t had for a while, or even haven’t used before. Be this an exotic fruit, new salad dressing, a variety of mixed dried fruits, nuts and seeds or simply a different type of gluten-free bread or grain. Keeping your lunches varied will prevent you developing the desire to buy-in, and will ensure you stay on track. Some of my favourite lunchtime meals are actually versions of leftovers that I have previously made in the evening. I like to batch-roast sweet potato, parsnip and butternut squash, refrigerate them, then throw them together with some left-over stir-fry from the night before. If you always ensure you have a staple carbohydrate source already batch-cooked in your fridge (such as brown rice pasta, roasted potato, quinoa or millet), just make a little extra of your dinner for the night and take it with you the next day. Simple. Never underestimate the delicious versatility of a good old soup. Invest in a slow cooker and let it do all of the hard work for you. Chop some ingredients, throw them into the cooker and get on with your evening! The next morning, you’ll awake to the beautiful aromas of a freshly cooked soup, ready for you to whisk away with you. The same goes for hot-pots, casseroles and stews. All of which make fantastic midday feasts. 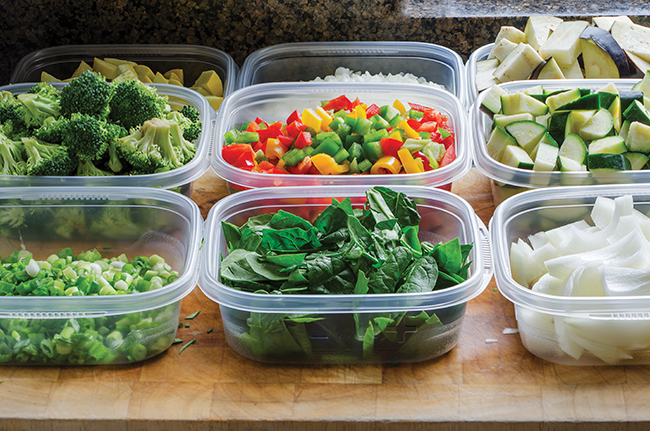 of time, and if you really have a spare 20 minutes, pre-chop your veg for the week and store in Tupperware. This way, you can then turn your fridge into a gourmet salad bar (minus the extortionate prices). I advise you to keep your lunches exciting, so always be on the lookout for an interesting salad recipe online and in magazines such as this. If your child is gluten-free, you might find yourself having to prep their lunchtime meals due to dietary restrictions offered at their school. Fear not. 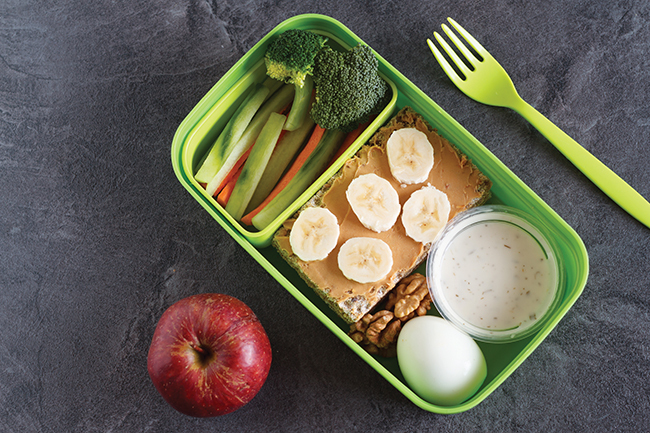 Help restore your child’s faith in delicious, varied and exciting lunches by packing them an interesting lunchbox. Use a variety of bread-types such as gf bagels, gf pittas and wraps, filling them with assorted types of houmous, smashed avocado, spiced egg mayonnaise, Asian-style sticky chicken, banana and peanut butter…the possibilities are as endless as your imagination. Rice cakes, gf oatcakes and tortilla chips make perfect dippers for tzatziki, guacamole and salsa. Fill their lunch bags with assorted fresh fruits, such as watermelon slices and chunks of pineapple, kiwi and mango. You could even include some batch-baked gf muffins, or other sweet treats to peak their interest. My best advice is to prepare these lunches in batches ahead of time, making two lots of each sandwich or salad. This way, you can alternate the dish your child takes to school every day, without causing undue exasperation at 6am. See this opportunity as a fantastic way to introduce your child to the incredible world of food, exploring flavours and textures. Every parent will want to know your secret! 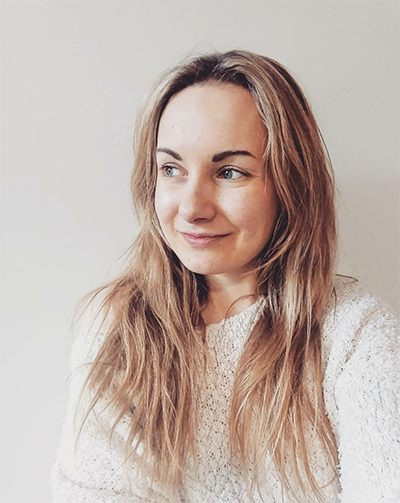 Charlotte Willis is a student researcher of nutrition and human disease. Studying to become a Doctor of Human Nutrition, she is particularly interested in wholefood, plant-based nutrition and healthful lifestyle intervention in the prevention and reversal of chronic human diseases.